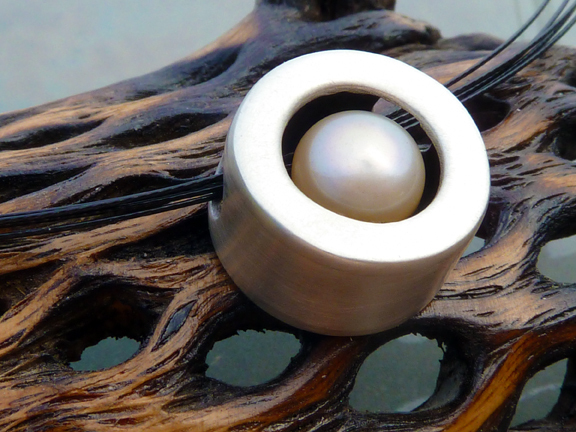 White pearl encased in fine brushed silver combines to create a bead/pendant that has a lovely warm sheen. Beautiful! May be worn on it’s own as a pendant or with other beads. Just in time for the sun’s journey through the zodiac – pearl is connected to Gemini! Hollow form, shadowbox, hand-crafted. Signed. 5/8 inch diameter, 1/4 inch deep.